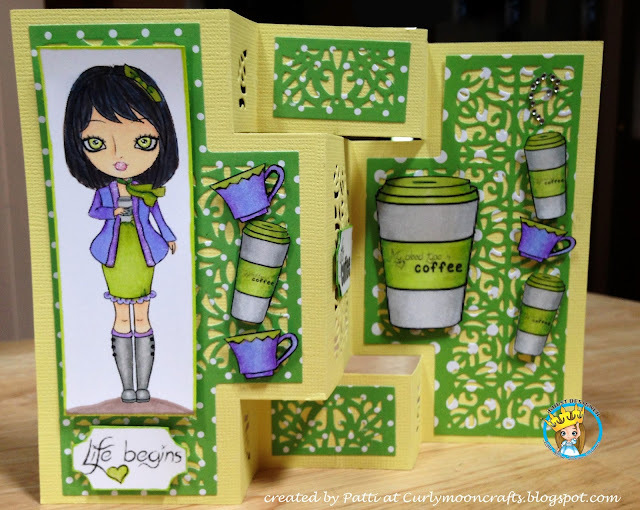 Hi Friends: I am very happy to be a guest designer for Little Blue Button Stamps for the month of June. 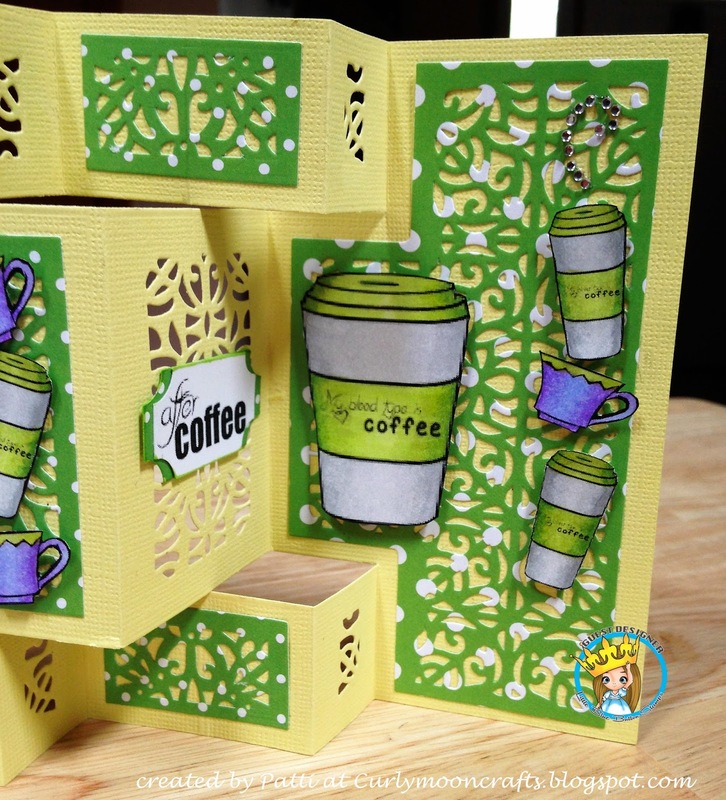 My first project is a shutter card using the fabulous digi stamp called Coffee Love. This stamp set is simply adorable and great for all our girlfriends who love their coffee fix in the mornings - or daytime, or evening. LOL. I really love interactive cards, and this shutter card is loads of fun. Here are pictures of the closed and open card - so much room to use these fab digi images! I hope that you are inspired to try using one of these lovely digital stamps to create your own project! Until next time - Happy Crafting! Use photo editor to add one of the digital sentiments to the label of the coffee cup. Print images onto smooth white cardstock and color with Spectrum Noir markers. Use clear glitter brush pen on eyes, lips, and jacket edges. 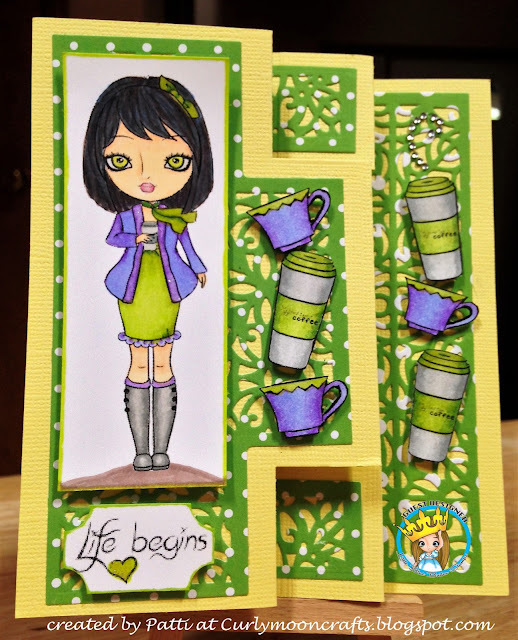 Cut the girl image into a rectangle panel and ink the edges with one of the green markers. Fussy cut 3 small cups, 3 small coffee cups, and 1 larger coffee cup and edge with black marker. Cut sentiment into 2 parts, use a corner ticket punch, then edge with green marker. Prepare shutter card according to die template instructions using yellow cardstock for the base, and green dotted paper for the accent panels. Glue accent panels to card base. 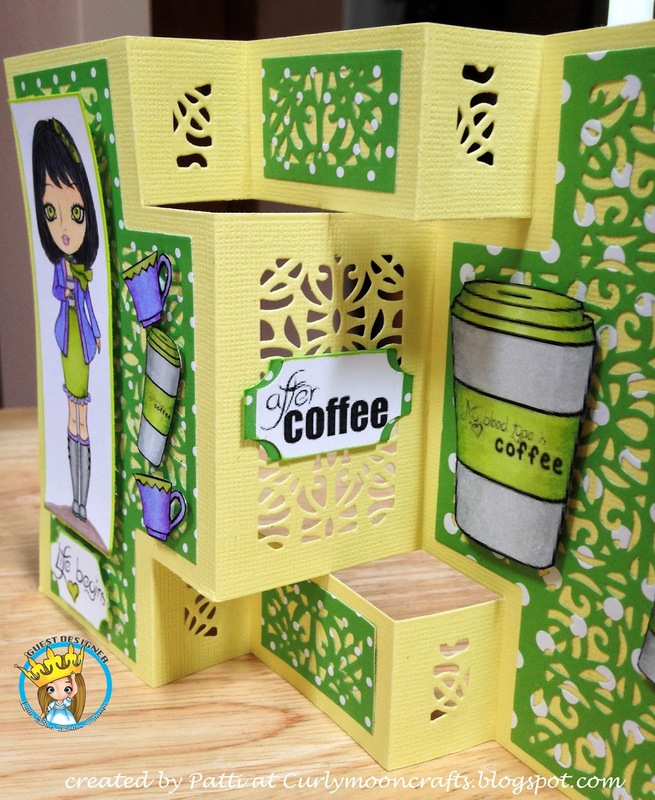 Use foam squares to add focal image, sentiments, and coffee cups to panels as shown. Finish with some clear gems as steam from the top cup on the right panel.